While its not strictly the Queens Park the new footpath /cycle way is another major step forward. 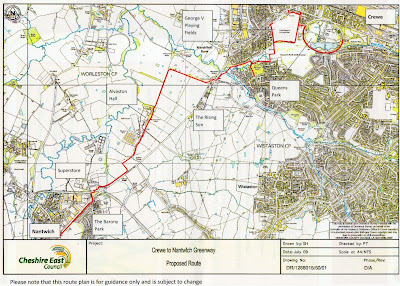 Costing over 1 million pounds it will link the Queens Park to Nantwich and means you will be able to walk or cycle to the park from Nantwich in safety along a beautiful country path. This should help make the park more accessible to all. Its hoped the work we have done in trying to get Tipkinder on the map will come into play as the path can then be extended via Tipkinder and the Valley Park and take you into the town center.